With our circumnavigation of France halfway completed, we headed east from the coastal Normandy region to check out the eastern portion of the country. On the way, one passes nearby the countryside village of Giverny, most famous as the residence of Claude Monet. 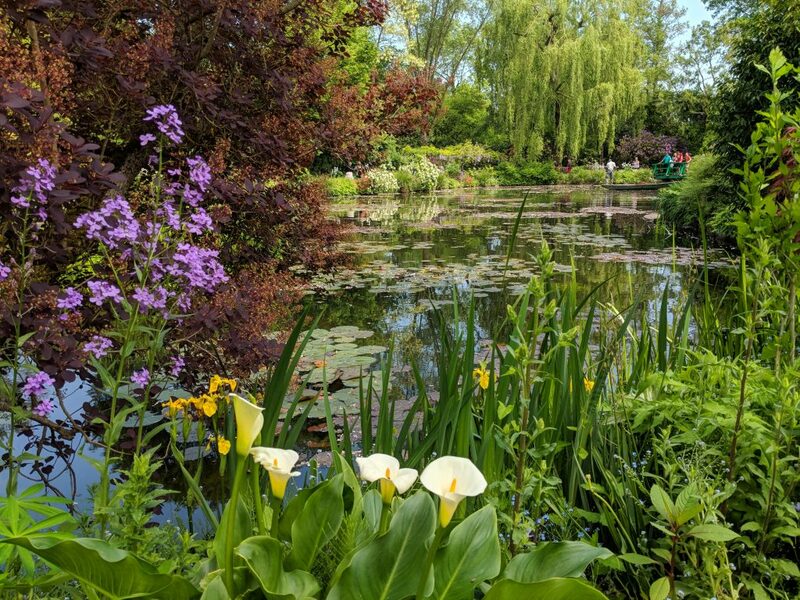 Giverny is where Monet spent the last 40 years of his life. He built out a substantial studio at his residence, and planted expansive flower gardens, followed later by an Oriental style floating garden across the street. These grounds become the subject matter of many of his most famous Impressionist paintings. 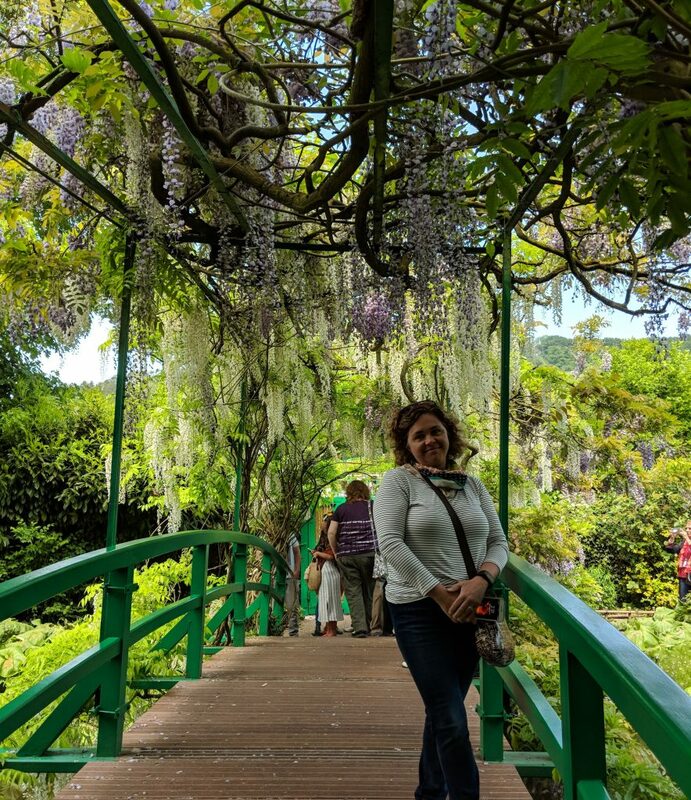 Today, you can tour his home and studio, and stroll through the flower gardens and past the flowing streams and ponds, all of which lead to a visual sensory overload. For sure it is an SD-card busting experience. 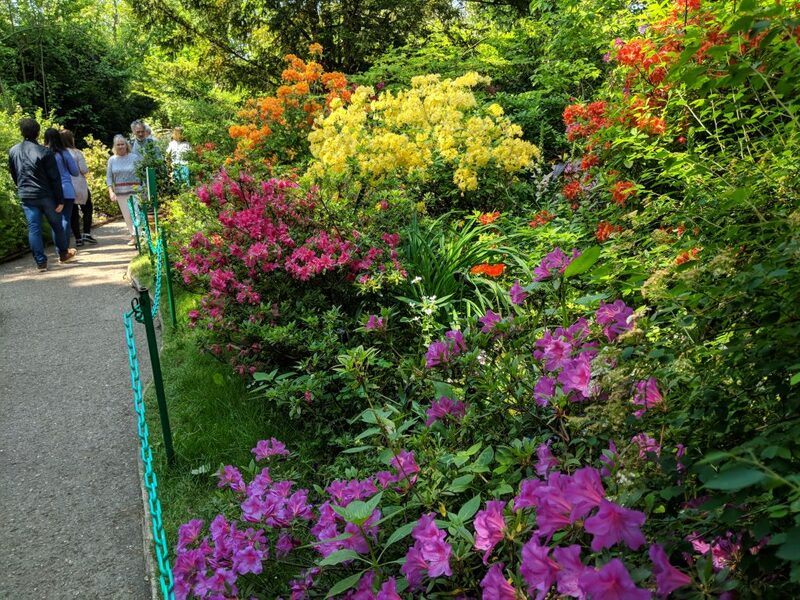 If you find yourself in Paris with an afternoon free, you should definitely take a side trip out to Giverny and experience the beauty made famous by Monet and those that followed in his footsteps. We continued our progress east, past the Paris suburbs, with a mission to find more French vineyards. This is important research that any visitor to France must complete. Is French wine really better than California wine? And why do they name their wines after the region, not the grape? We skipped the white lab coats and clipboards, but pursued our citizen science in earnest nevertheless. The first stop was Reims, the headquarters of champagne. Now, to be fair, the French make it challenging even before you take that first sip of lovely bubbly. You might think Reims is pronounced “Rhyme-s”, but you would be wrong. It is “Rowl-s”, and you really need to work that R, getting deep into your nasal passages. That workout for your nose will come in handy later, when you swirl, twirl, sniff, and sip. The city of Reims is nothing remarkable, a surprise to us given the haughtiness of champagne. After seeing so much beauty elsewhere in the French countryside, I had something entirely different in my head for Reims. And worse, we had booked two nights in the city. Alas, as soon as we headed out of town on the champagne trail south of the city, we were quickly redeemed. Concrete high rises and traffic gave way to bucolic rolling hills with rows of vineyards stretching as far as the eye could see, interrupted by dots of little quintessentially quaint french villages, with their earth-tone stucco walls, and burnt red colored roofs. Ahh, this was more like it. Thanks once again to the those who had gone before us (e.g. 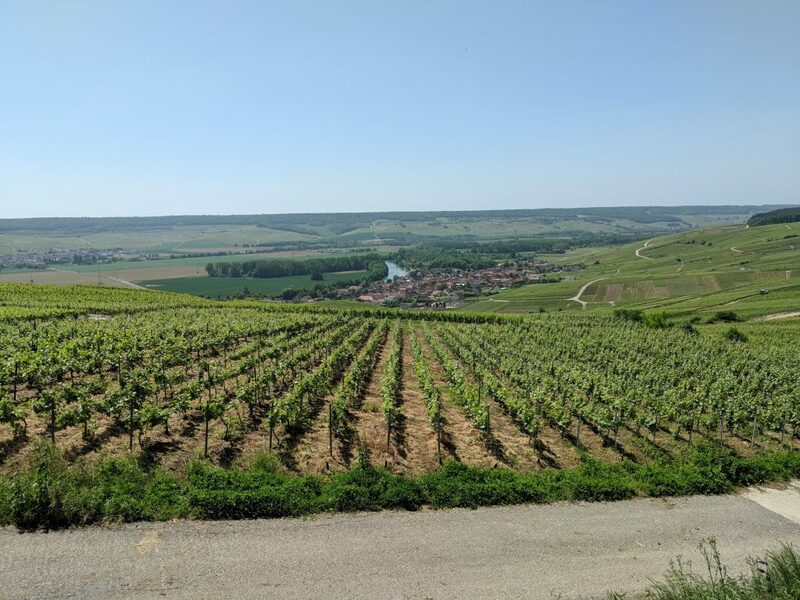 Rick Steves), we had an easy circular driving route to follow that would take us through the grape growing region centered around Epernay. As there was nothing to keep us in Reims, we were on the road early, arriving at our first champagne tasting room at 10am. Let there be no doubt regarding our earnestness! 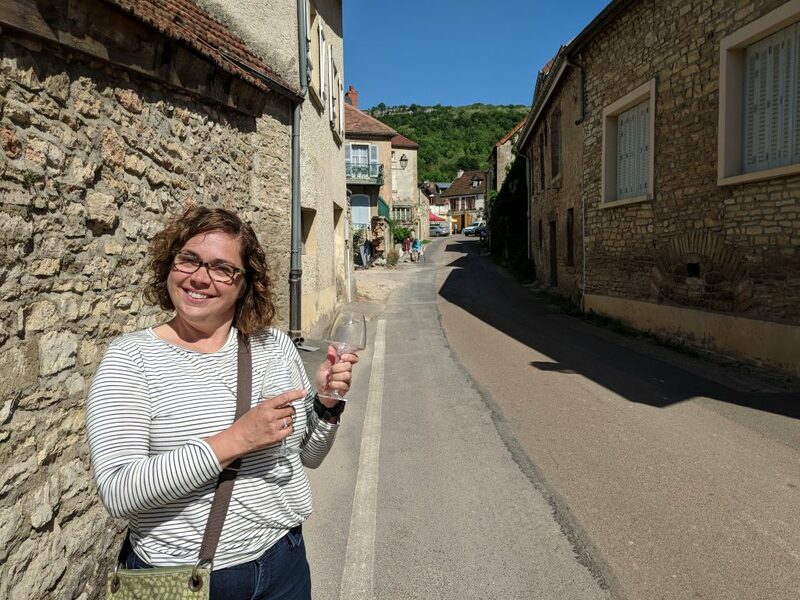 Though the proprietor spoke virtually no English, through hand gestures and Karen’s beginner French, three of their bubblies were summoned and we were well on our way to our first champagne lesson. I didn’t realize it until we started visiting tasting rooms, but champagne is made from one or more of three grapes – Chardonnay, Pinot Noir and Pinot Meunier. Many are an equal blend of all three, but occasionally you will be offered a blanc de blanc (Chardonnay) or blanc de noirs (either Pinot Noir or Pinot Meunier). Together with asking for either Brut (dry) or Extra Brut (very dry), our french linguistic skills were growing by leaps and bounds! Champagne tasting can leave you a bit tired and famished. We found a superb picnic spot in the village of Hautvillers, overlooking another quaint town below it named Cumieres. The only downside of champagne tasting in May is that you might need another layer of clothing. As it turned out, it is hard to escape the gravitation pull that is Paris. 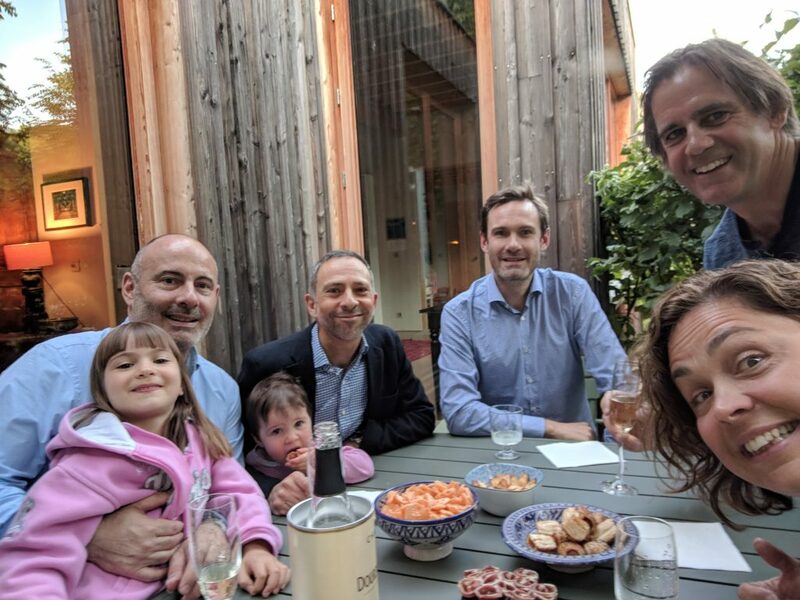 Instead of heading directly south from Reims, we detoured west again to rendezvous with our friends Herve and Jean-Hugues, and their two young daughters Gabrielle and Josephine, in the Paris suburbs. 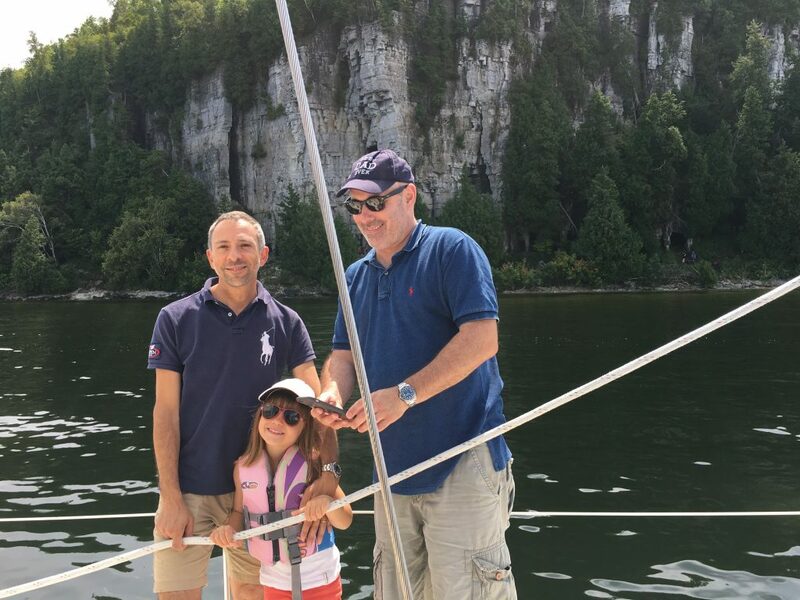 We had first met Herve and Jean-Hugues last summer on the Door Peninsula of Wisconsin. Our mutual friend Mary had introduced us, and we all spent an afternoon onboard Thalia, taking in the spectacular seashore views. It was pleasant to speak English to someone other than your wife and the hotel receptionist, and in the process get a sense of what is important to Parisians. 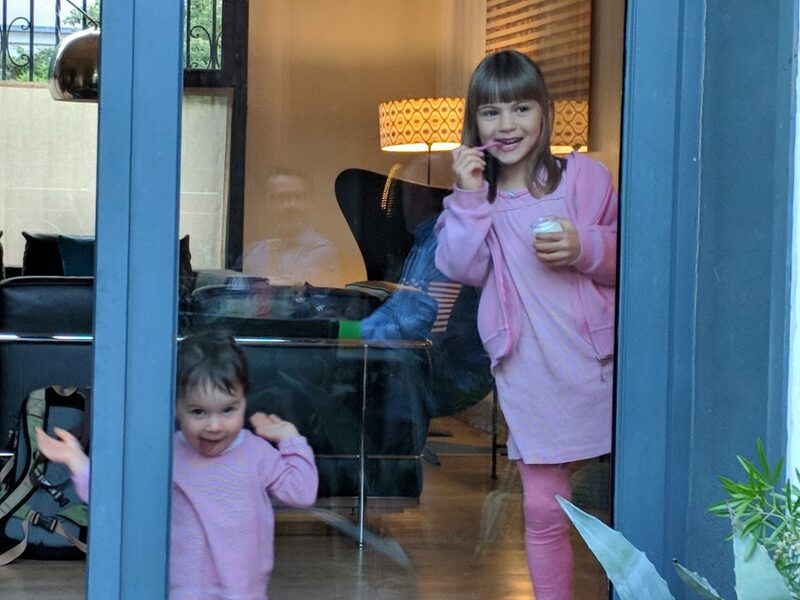 Their house, close enough to downtown Paris to get your city fix, but out of the main hustle and bustle, was a reprieve from the many hotels and inns we had frequented. And what’s not to love about an evening of wine and home cooked food. I walked away with a new wine-hostess courtesy. Herve, ever-so-subtly as he opened a new bottle of wine, took a sip first to make sure it was acceptable before pouring full glasses to his guests. Thanks Herve and Jean-Hugues for the great memories! 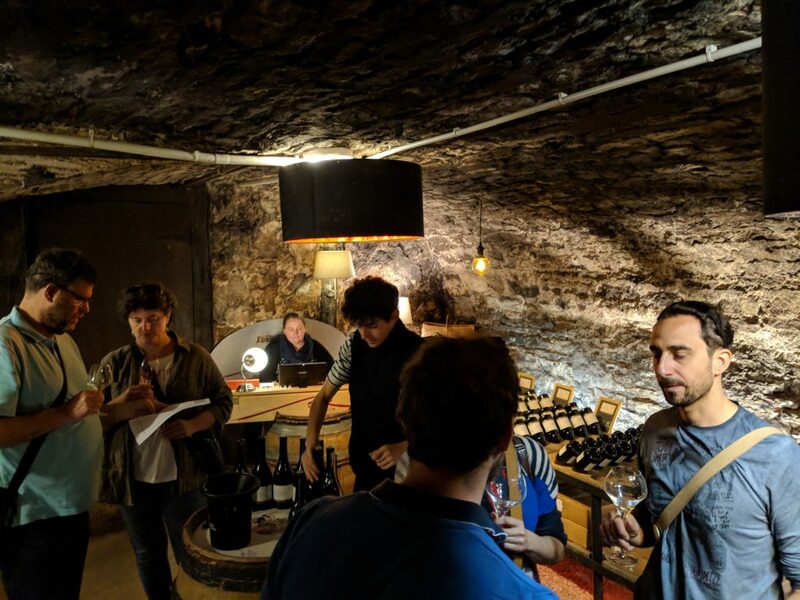 From the Paris suburbs, we ventured south to the city of Beaune. Along the way, the road paralleled a portion of the inland canal network of France. I had heard about these canals that form the basis for popular European canal boat vacations. And of course, after our Great Lakes experience last year, we had a soft spot for anything resembling a canal. These locks were unique in the manner of how they opened and closed. It was entirely manual. You provide the brute force. So if you choose a canal vacation next time you are in France, be sure to bring along a few fit college kids. It might cost you an extra baguette, and side of cheese and salami, but it will save you chiropractic bills on your return home! We ventured south from Reims to the city of Beaune. 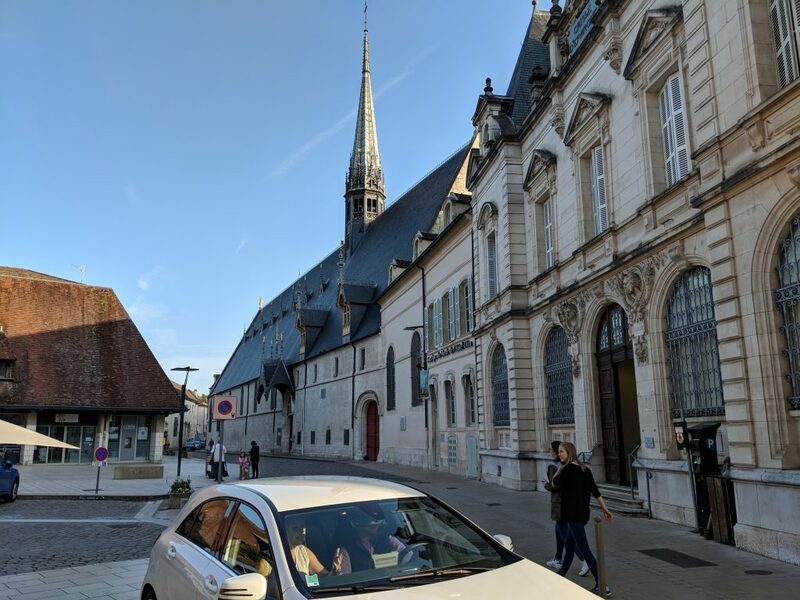 If we had expected sophistication in the Champagne region and didn’t find it, we got it instead in Beaune. We parked ourselves at an outdoor cafe on a busy narrow street in the old city center, and learned quickly that the preferred vehicle was a Volvo, BMW, Porsche or a variety of fancy Italian and British sports cars. But don’t try stepping out of your vehicle with muscle shirt and baggy shorts. Button downs and pressed pants for the men, please, and long dresses for the women. Ahh the joys of travel when you sit at a cafe and people-watch without shame! Guess the make of car – Volvo, Audi, or maybe a lowly Opel! 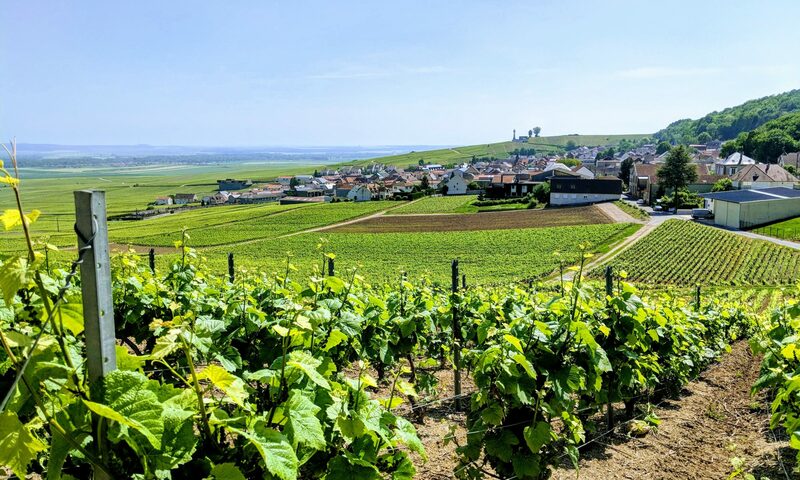 Beaune is at the epicenter of the Burgundy wine growing region – how convenient! 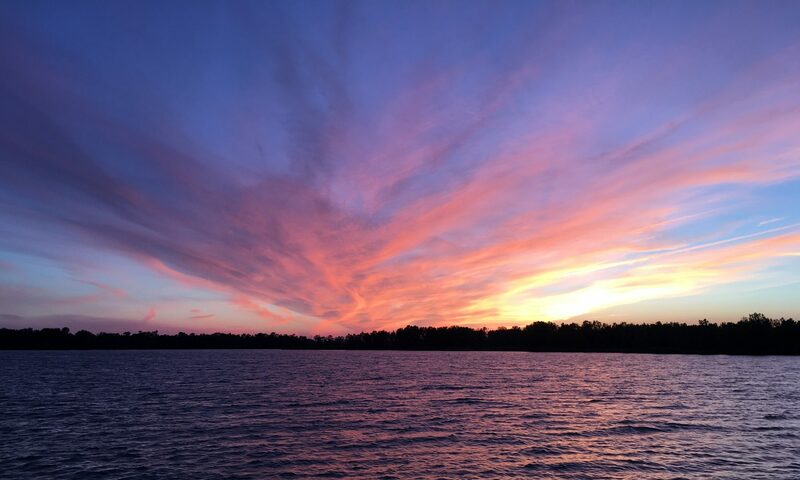 For you wine aficionados, you might also recognize the region as the Cote-d’Or, the “Gold Coast”. I guess we should have expected the fancy car parade had we known that reference to gold ahead of time. With wine map in hand, we opted to take our car-of-the-commoners, an Opel Mokka, out for some additional research on the subject of wine. Let me just say at the outset that when you travel, you try hard to make your schedule line up with special events, street markets, festivals and the like. But often you find yourself arriving in a little village the day after the big thing, and it looks a little like Sunday morning at a frat house, with you left to ponder what it would have been like to actually have seen the real fun. Well, our spontaneous turn off the main road out of Beaune, into the village of Saint-Romain, changed all that. 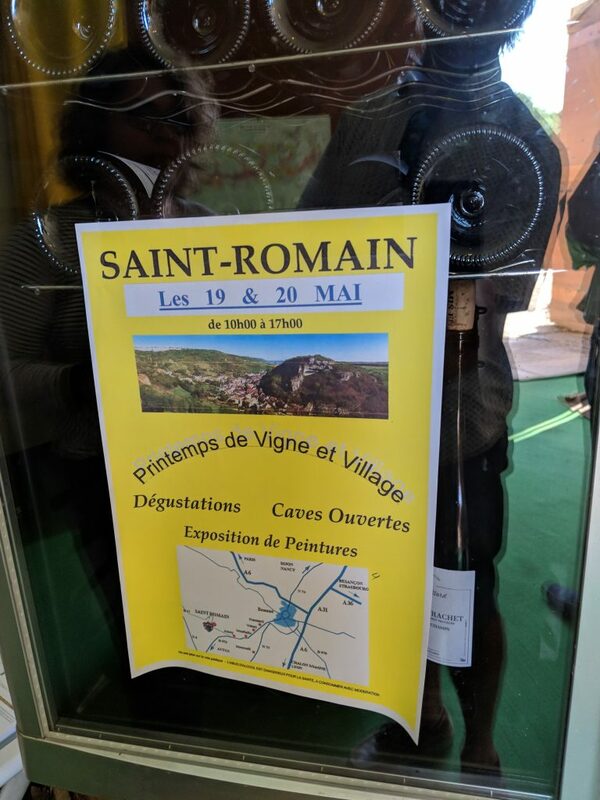 It was their Spring festival of wine and art, and for just 5 euros you got yourself a souvenir wine glass and as long as your legs were up to the task of climbing the steep streets and alleys, as much wine tasting as you could endure. Finally, we had hit a town on their big event day! It’s hard not to love a wine you taste out of a cave! If we had learned anything in our travels it was the importance of pacing yourself, especially when it comes to visiting the wine regions! We opted for a two night stay in Provence. This time, we chose a spot out in the countryside. I had heard so much about the beautiful rolling hills and vineyards of Provence that I had my eye set on a B&B away from the hustle and bustle of the villages. We found it at the Old Lime Farmhouse outside Vaison-la-Romaine. Virginie and her Dutch husband restored this old stone estate and rented out two extra upstairs bedrooms. Tres bon! 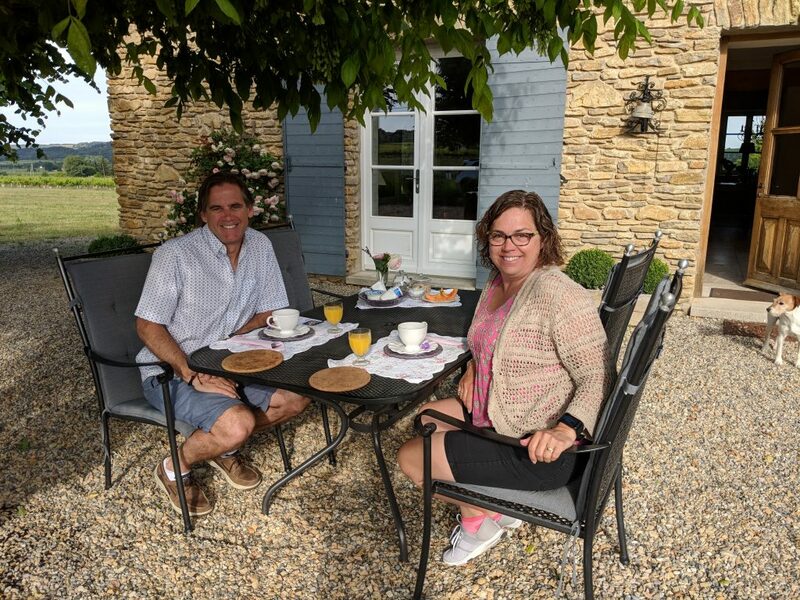 Taking in the peaceful nature of this region of France over breakfast in the front yard was magical, only matched by the colors of the sunset over the vineyards the night before. One of the advantages of staying at a small B&B is the intel you can get from the innkeeper. Virginie gave us a lead on a special Picasso art exhibit inside an old quarry. Both intrigued and a bit confused by how that would work, we pointed our faithful Opel around roundabout after roundabout to the remote hilltop of Les Baux-de-Provence. The Carrieres de Lumieres exhibit is housed inside a massive limestone quarry in a region first settled in the 10th century. Huge limestone blocks had been cut from this mountainside to be used for buildings and monuments. But nowadays, an artist is commissioned each year to create a unique sound and light show using the tall stone walls of the quarry as their canvas, plus over 100 projectors. It was a very impressive application of old and new! Here’s a montage of the show. 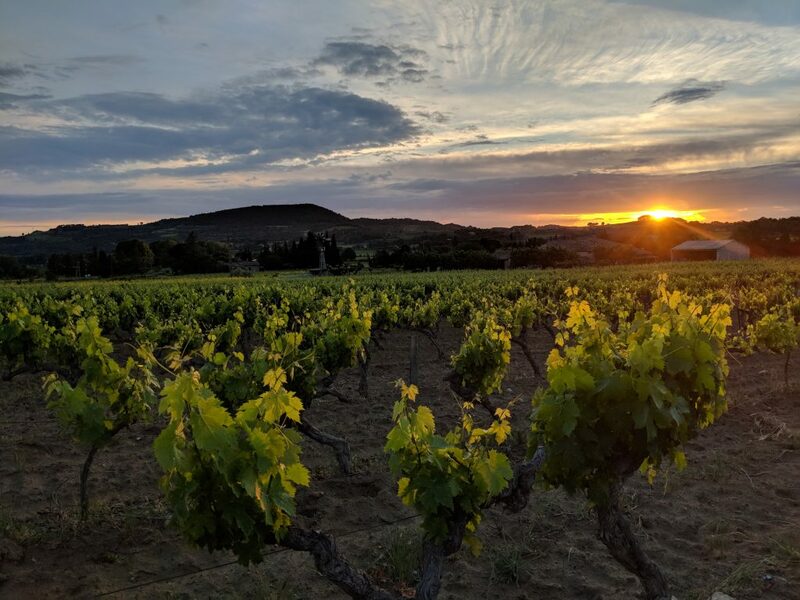 The Provence, and the neighboring Cote du Rhone region, is both impressive for it’s modern day creations as it is with the older Roman heritage that dots the landscape throughout. 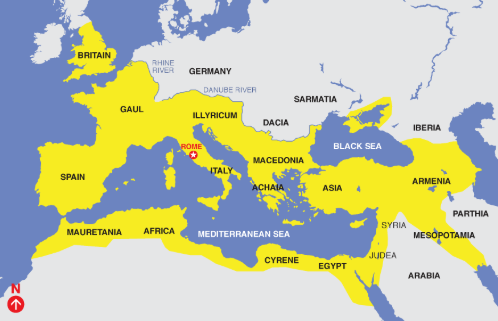 In their heyday, the Roman empire extended into all of France and well into central Europe. In particular, the Romans left a wealth of substantial and varied ruins in the Provence region. 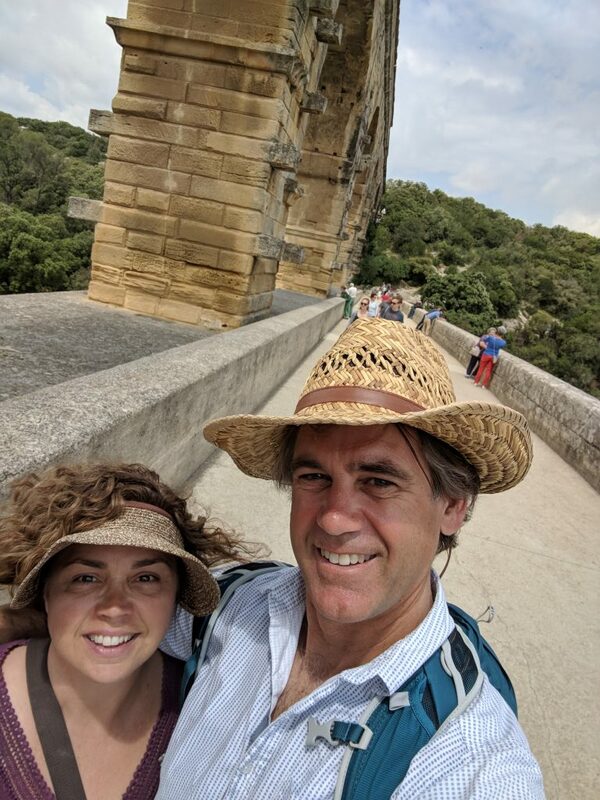 While it was tempting for Karen and I to pull out our togas and head off to the next wine tasting room, we chose instead to check out one of the Roman’s most well preserved aqueducts, Pont du Gard. 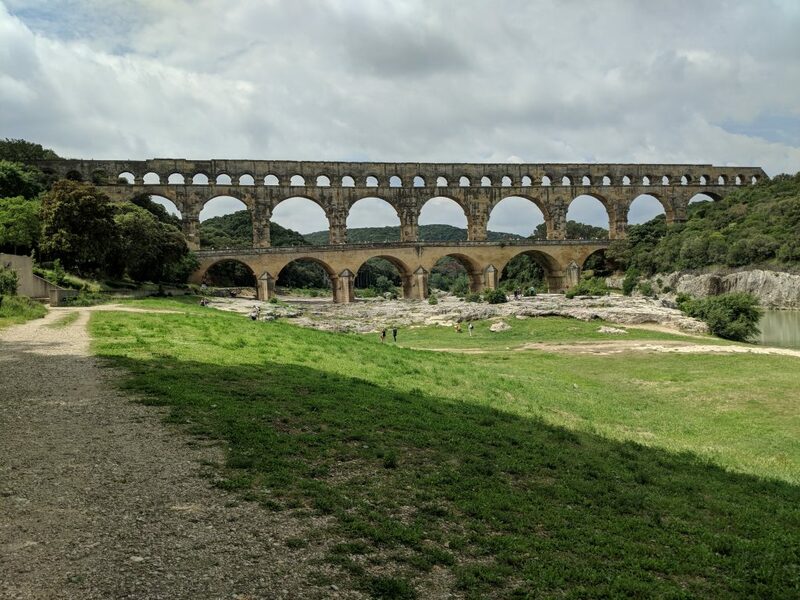 This aqueduct, constructed from some of the same type of limestone we observed back at the quarry is impressive in it’s own right – three beautifully crafted tiers, 360 meters long, 50 meters high, and one of the largest arch gaps in the Roman world – 25 meters. But that’s not all. 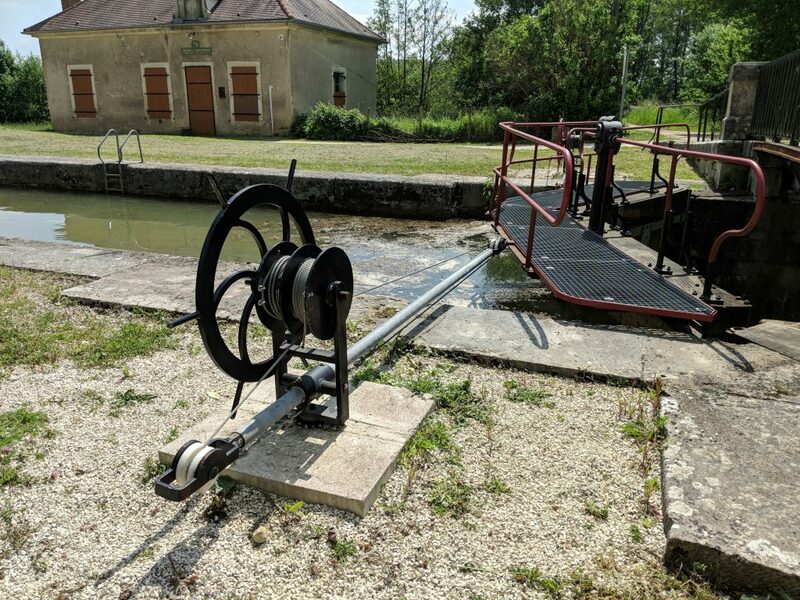 It was part of a network of aqueducts and canals that snaked through the countryside 50 km to the city of Nimes, where fresh clean water was fed into an advanced system of smaller channels that ran to homes of the day’s elite and to many public areas. The Pont du Gard aqueduct, built in the 1st century AD, serves as a reminder of the Roman’s sophisticated design and engineering capabilities. Be sure to thank them when you casually flip the faucet on for your next bath! 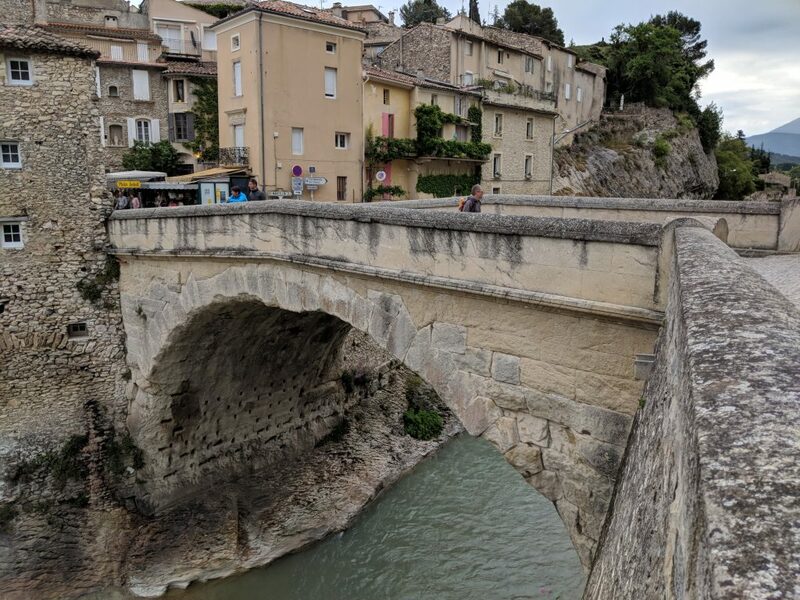 Our Roman tribute wrapped up back near our B&B, in the small town of Vaison-la-Romaine, where this stone bridge, built by the Romans in the 1st century AD (that was sure a busy century for them, ehh? ), has withstood countless floods and other disasters that have brought down many other neighboring bridges over the River Ouveze. To say this little darling of engineering has withstood the test of time is an understatement. And it is still used as the main link across the river between the medieval and modern city centers. Now, where is Julius Caesar when you need him?! As we turned south from Provence and put the ruins, the vineyards, the light shows, and the hospitable French countrymen and women to our rearview mirror, we navigated past a couple thousand more roundabouts before settling into Peripignan, where we would ditch the car, move aboard Sea Rose, and start our maritime adventure. 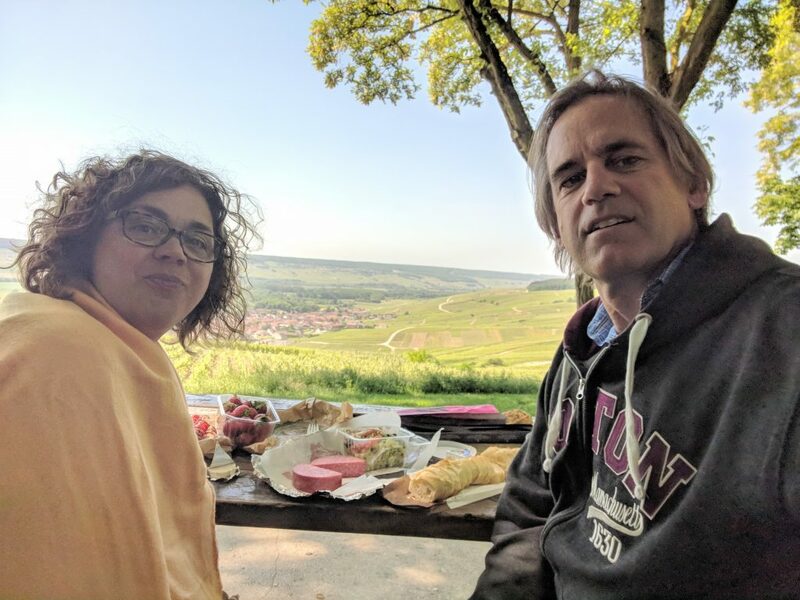 It had been 2 1/2 weeks since we landed in France, and between the delightful strolls through Paris and the many sightseeing drives through the countryside, we had grown to love everything French – the food, the wine, the castles, the rivers, the people, the vast history. Reason enough to come back soon. Well, after my neck recovers from looking left in all those darn roundabouts. Pass the Advil please! Great story and beautiful countryside. Can’t believe all of the wineries. How fun and yum. Thanks Pat. Yes, there was ‘yum’ around every corner! I think the only thing that would make your trip a wee bit better is some company…. We are ready, roll of red carpet in hand!